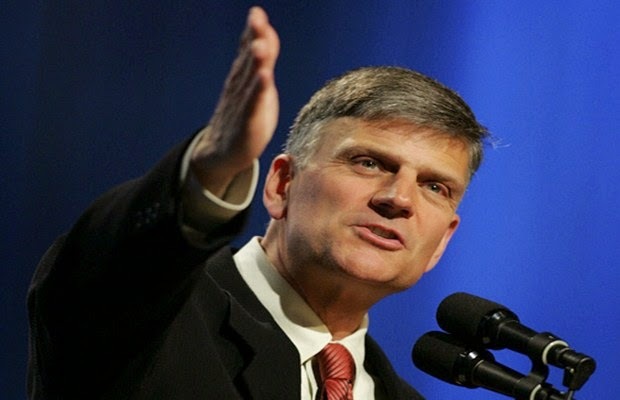 (CNS News)—..."Our country has changed.," said Franklin Graham. "We've got to take a stand. We cannot back up, we cannot retreat." The reverend, who oversees the organization his father founded, the Billy Graham Evangelistic Association (BGEA) and the international relief group Samaritan's Purse, went on to say that Christian men and women must enter the political arena to turn America in the right direction. "Let me tell you something, the church needs to get involved in politics," he said. "Now I'm not talking about Baptist or Republicans and Tea Party—I don't even know who they are—but I have no confidence that any of these politicians or any party is going to turn this country around. The only hope for this country is for men and women of God to stand up and take a stand."